WARNING: reading this book plants the knowledge necessary to change your life and be happy. Do not read if you don't want to master your fears and make important changes. 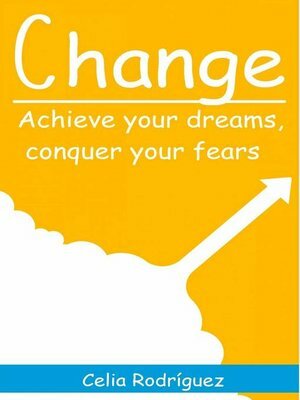 In CHANGE, Achieve Your Dreams, Conquer Your Fears you will learn how you can change your current situation through coaching techniques. Coaching is a simple method, easy to apply and within reach of everybody. You will learn why it is scary to make changes, and how to make them. You will learn exercises to help you make better decisions, discover who you are and what you want. By making better decisions, you will achieve a higher success rate. Through a simple coaching technique, you will discover what to do to leave your comfort zone. It will help you in any area of your life and in any situation you want to overcome. Each chapter is accompanied by exercises to help you understand the content better and initiate change while you read the book, conquering your fears and changing things you don't want in your life. This book has additional free content. Instructions to access it are included inside.